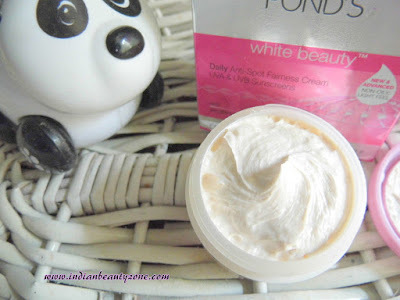 Everyone's skin is different, after years of intensive research on more than 20,000 gene codes, pond's institute made the breakthrough discovery of a specific gene, that determines skin colour and created the Genwhite active dermatologist tested. The fairness cream works from the inside -out with non-oily, light feel. Inside with Genwhite active, absorbs deep to fade away, spotsand dullness at the source, and anti-oxidant lightening action on dark circles. outside discover fairness that glows. This cream comes in a plastic tub with a screw open pink colour lid. This 25gm package is so small and compact to carry with you. It is travel friendly. The colour of the cream is baby pink with a shiny look. The texture is so creamy and light at the same time. It has mild and nice smell that doesn't bother sensitive nose. I am using it from the past two months and to be frank it failed to impress me like the Pond's Age miracle one. But it is not that bad, may be I expected too much from a basic fairness cream. 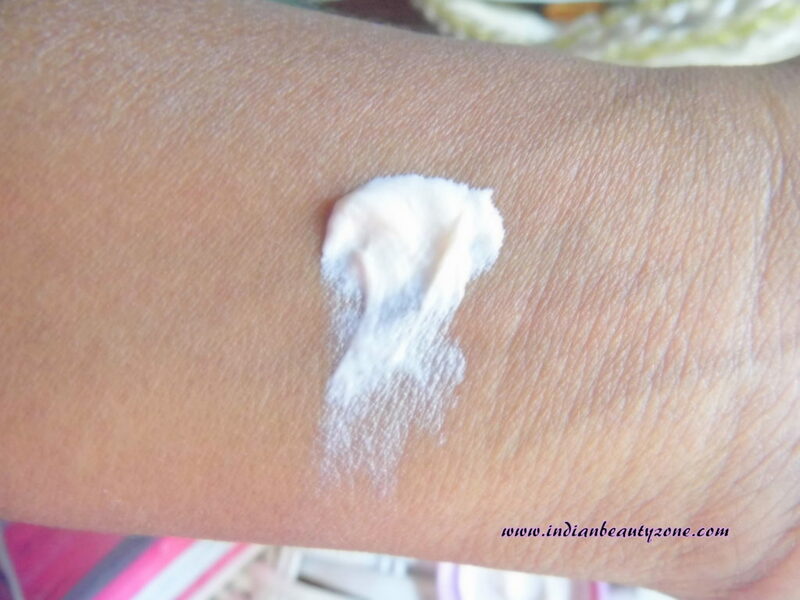 It got absorbed easily into the skin when I apply in hurry. It gives a bright look to the face immediately but it does not last long. My skin is normal to combination type and my face looked matte for long time. 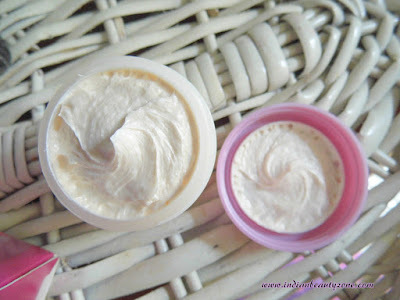 This cream cream doesn't give any hydration or enough moisture, so if you have dry skin you may need a moisture to support. I don't have any visible black spots so I can't comment on dark spot lightening part of this cream. I had few pimples here and there, but am not sure it is because of this cream or some other reasons. But it didn't cause any rashes or allergy still. All I can say it is a decent day cream for daily use. But, do not have any special reason to continue for me. 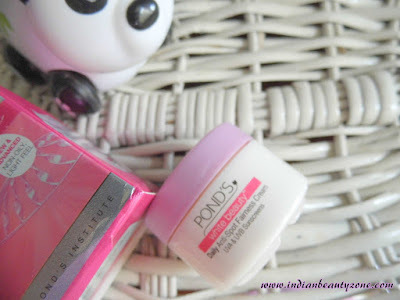 I am planning to try some other Pond's day cream soon. Available in all sizes and travel friendly. Makes face bright after application. Doesn't make face oily or greasy. Very suitable for oily to combination skin. The freshness doesn't last long. 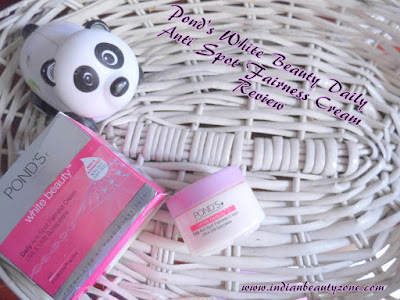 Pond's White Beauty Daily Anti Spot Fairness Cream is a decent daily use day cream for girls who have oily to combination skin and do not have much expectation other than freshness.